You might see this bright packaging in your high street store and assume the “organics” label mean its contents are harmless for your baby. But is that really the case? Organic Baby Products From The High Street : Are They Safe? I usually shop for my organic products online. It means I can be very selective about the ingredients that we ingest, and with some careful purchasing, I can also limit the amount of lotions and potions we consume as a family. But what about the high street? I was making a visit to Boots the Chemist a short while ago and was interested to see a whole plethora of “organic” and “natural” labels emblazoned across bright plastic packaging. Look, I’ve been in the sales & marketing business all of my professional life, so I’m naturally skeptical, but am I being unfair? Are these labels really what they make out to be? 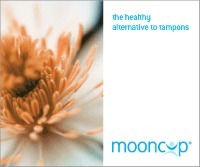 “I am a very gentle formulation & have no synthetic fragrance”. Pretty convincing I’d say. 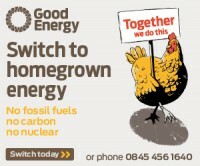 However, I immediately noticed that there is no organic certification, by The Soil Association or any other body. So the first question I’d ask as a consumer is “How do I know the ingredients are actually organic?“. Next up is a check on the list of ingredients. I’m no chemist, and so I’ve used a database of cosmetic ingredients : Skin Deep – from the Environmental Working Group. 1. DECYL GLUCOSIDE : This product is listed as “Not assessed for safety in cosmetics by industry panel” and with 100% data gap listed, no meaningful result can be listed here. 2. PEG-80 SORBITAN LAURATE : The database lists this ingredient as a “moderate to high hazard depending on product usage”. Concerns include “Human skin toxicant – strong evidence” ; “One or more animal studies show reproductive effects at high doses” ; “One or more animal studies show skin irritation at moderate doses”. 3. COCAMIDOPROPYL BETAINE : “Moderate hazard”. Concerns listed include, “Known human immune system toxicant”; “Suspected to be an environmental toxin”, however this ingredient has also been “Determined safe for use in cosmetics, subject to concentration or use limitations – Safe for use in cosmetics with some qualifications”. 4. GLYCERIN : “Low hazard. 74% Data Gap”. Did you know “This ingredient may be derived from animals.”? Other concerns include “One or more animal studies show kidney or renal system effects at very low doses” and “One or more in vitro tests on mammalian cells show positive mutation results”. 5. PEG-7 GLYCERYL COCOATE : “Moderate hazard to high hazard depending on product usage”. Concerns listed include “Violation of industry recommendations – Restricted in cosmetics; use, concentration, or manufacturing restrictions – Not safe for use on injured or damaged skin” and “Limited evidence of sense organ toxicity” although the Cosmetic Ingredient Review Assessments states “Determined safe for use in cosmetics, subject to concentration or use limitations”. 7. TETRASODIUM EDTA : “Low hazard” with an 81% data gap. The European Union – Classification & Labelling source refer to ”limited evidence of eye toxicity” whilst the Environment Canada Domestic Substance List list this ingredient as “Classified as expected to be toxic or harmful“. 8. SODIUM CHLORIDE : “Low Hazard. 0% data gap”. 10. DEHYDROACETIC ACID : “Low hazard”, 85% data gap. European Union – Classification & Labelling lists this ingredient as “Classified as toxic or harmful” in the category of “products for use around the mouth; products for use on the lips”. 11. ETHYLHEXYLGLYCERIN : ”Low hazard, 90% data gap”. European Union – Classification & Labelling references “Limited evidence of eye toxicity” and “Classified as irritant“. 12. POLYAMINOPROPYL BIGUANIDE : “Low hazard, 76% data gap”. Japan’s Standards for Cosmetics has listed this ingredient as “restricted for use in some types of cosmetics (concentration limit)”. 13. PHENOXYETHANOL : “Moderate hazard, 64% data gap”. “Classified as irritant” by European Union – Classification & Labelling ; “One or more animal studies show sense organ effects at very low doses” and a 1980 study shows “One or more in vitro tests non-mammalian cells show positive mutation results” in relation to Cancer Concerns. 14. BENZOIC ACID : “Moderate hazard depending on product usage”. Some of the previously mentioned concerns and the 65% data gap lists “Safety unknown for products that may be inhaled”. What do you think? Doesn’t sound very organic, does it? Organic labels on the high street : are you being greenwashed? 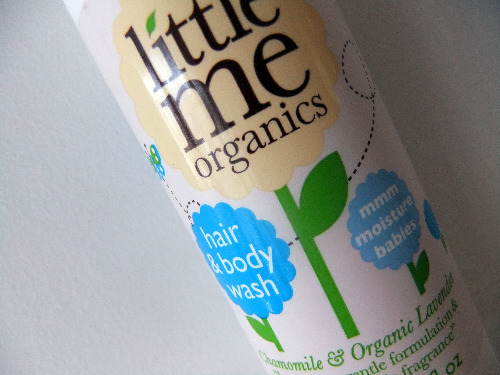 I’m not out to run a scare campaign against high street brands – Little Me Organics included. It’s really heartening to see organic labels on the increase and there’s obviously more demand for ‘natural’ products. However, just splashing an ‘organic’ label on a set of otherwise dubious chemicals is not the future of organics as I see it. We’re often asked to pay through the nose for an ‘organic’ label – wouldn’t you like to be sure you’re paying extra for organic ingredients? It pays to do your research and it pays to think twice about what cosmetic and toiletries goods you are purchasing. When it comes to looking after baby’s fragile skin I’d think you could do no better than using water. If you need a wee bit of extra power, then perhaps consider an alternative like Dr Bronner’s Unscented Castille Soap* – Dr Bronner’s soap is completely biodegradable and vegetable-based. They’re made with Certified Fair Trade and Organic oils. * Organikal runs an affiliate programme with Ethical Superstore. If you make a purchase by following this link then Organikal will receive a small commission. Thanks Juliet! I just hate to think that folk are paying for an ‘organic’ label when there’s nothing much organic about it. The sad thing is that your parents will have thought they were ‘doing the right thing’!